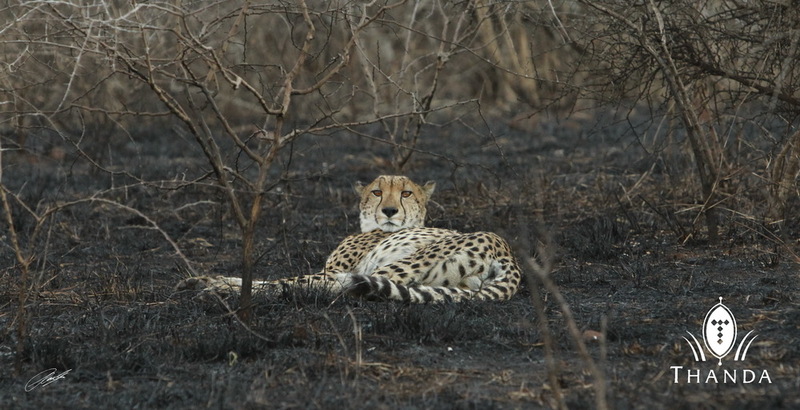 Our two Cheetah boys were lying in a recently burned area when we spotted them from the road. Driving off-road is not allowed on freshly burned ground so Bheki and I walked our guest a few meters to get a good view of those two magnificent creatures. Our guest enjoyed the experience very much. The two brothers kept us in view for a few minutes and then lost interest in the six humans nearby. 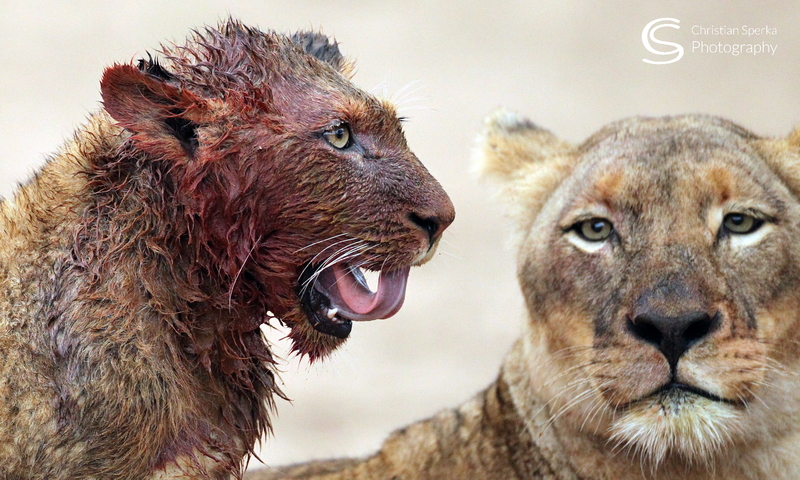 What a sighting! Yes he is. Christian, Was the burned area a controlled burn to rid some of the vegetation or was it a wildfire? Thanks for sharing and Have A great one!! Thanks for your comment Lisa – This was a controlled burn (vegetation control and fire break). Outstanding! The photo is outstanding and the cheetah is literally standing out against the dark back ground! They are magnificent aren’t they!